WordPress blogs are categorised using a number of different categories based on the subjects of the posts that are published on that blog. Some readers visit your blog to view (or browse through) all the content, but some others simply target one of those categories, and there’s a way to cater for them with an RSS feed too. Rather than using an RSS feed that displays ALL the content on a blog, this very, very easy trick will allow you to create an RSS feed just for the category of your choice. 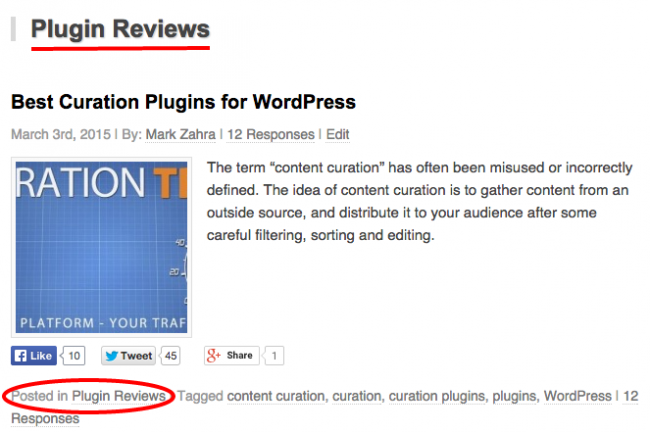 This will provide you with the RSS feed for WP Mayor’s Plugin Reviews category. There isn’t much to explain here. This is simply the way to locate the RSS feed for a WordPress blog’s particular category.